Congratulations Charlotte, a nice price for a nice competition and the picture you are radiant as each concert. Congratulations and earnestly meet and hear you one of these days. You are fabulous. Hello Gaurab, I enjoyed your ‘Pep talk’ post from yesterday 😉 . My Mum always says find out how you could have improved it and work harder next time 🙂 – only joking Mum. I will keep working hard Bill 🙂 been working on my German translations and Schubert phonemes today. das goot 🙂 or did I mean das boot? Anyway – somebody has to be a star, why not be prepared so that you never say, if only I …. Congratulations! Of course, I’m certain that you deserved the top prize–but it’s wonderful that you received the special audience award! I have no doubt that you wowed them! Hi Dan, I’d like to have won the top prize, but I am very proud to be the first person to ever be awarded an audience prize at this competition. I had very good feedback from the audience members and even got a chance to get some tips off the judges. Congratulations on achieving what you did, and on having the maturity to respect the decision. There is no shame in being outdone by someone who has gone further than you: the shame is in losing the will to be the best you can be in yourself. This isn’t a competition, this is art. The true prize is your listeners ears. Thanks Martin, I agree with you. This is sometimes what people forget when they enter competitions and why there are some upset feelings, I was at my best for this stage in my development and I’m still a teenager (for another 12 days anyway) so I have plenty of time to improve. Your concerts are 12,000 miles away – bit far to travel – but I did spent a delightful evening at the Adelaide Entertainment Center last week when some friends and I went to the Andre Rieu Concert. This is the fourth time we have attended these Concerts and it’s still a “magic” event of song, music and some laughter. Dinner and a concert, a good night out. Hello John, I’d love to attend more concerts, your Andre Rieu event sounds wonderful. Creating joy and laughter is what it’s all about. My brother blogged all about your bush fires in Australia I hope you weren’t close to the problems. Wow, getting to the final is wonderful; the audience prize is even better! This is a message casting directors will take note of. I shall look out for those baritones. Time is on your side and you will be ready for the limelight when your turn with the judges comes, as it surely will. 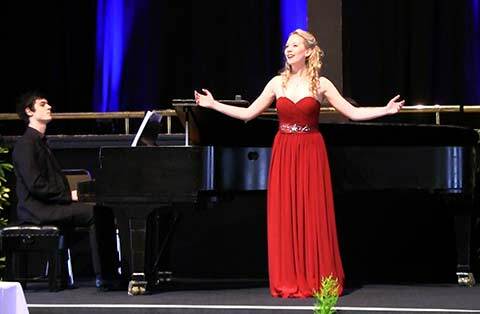 Thank you for your positive words Hilary, all of the eight UK conservatoires that send singers to this event select their students through competitive audition, not just from the UK, musicians audition from all over the world. The singers audition for approximately sixteen vocal places at each college and Stephen Robertson (Head of Vocal Performance) took a bit of a gamble with me. I’d not been a member of any church choir or been to a specialist music school. 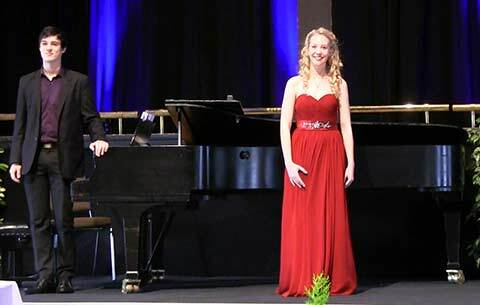 I came late to a second instrument and joined the Junior Royal Northern College of Music, again through audition, on Saturdays from the age of 16 in order to improve my sight singing, aural, composition and piano skills. Many of the conservatoires like you to take a gap year and join at 19 but I was super keen to make a start at 18 because I have an early birthday in November. 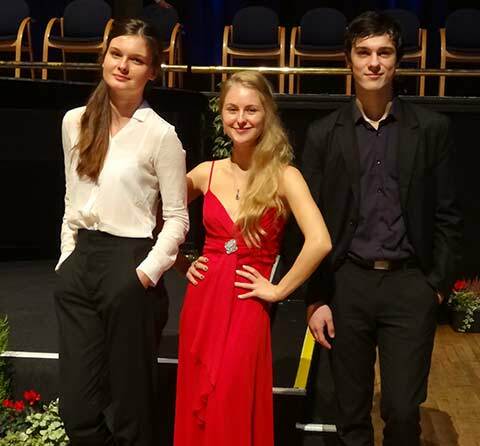 Just to be selected as one of two singers to represent the Royal Conservatoire of Scotland was an honour as I’m sure it must have been for the other singers representing their conservatoires. I wish I had managed to bring back a top prize to reward his faith in me but I will in the future. Congratulations. Sorry you didn’t get the top prize. Darn those baritones. Well, you were. No contest. 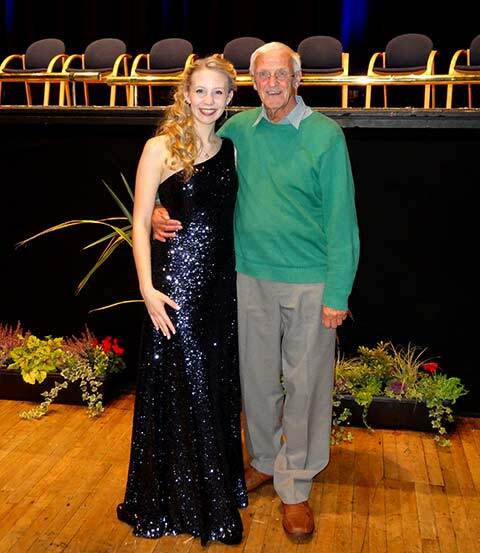 Well done Missy H, a well deserved accolade from the ‘real folk’ – your audience. All good experience to keep your feet on the ground and help you reach for the stars. Go girl!! Cheers Uncle Spike, onward I go. I enjoyed my extra practise lessons with George in preparation and having a target/goal to aim for, I definitely work better in this way. So I’ll have to keep giving my Mum palpitations (I actually think its worse for her than me, I was chilled and she does my worrying on the day) and keep entering as many opportunities as I’m able. You’ll go far with that attitude for sure. You got a little 9 year old sister in The Netherlands Charlotte…? Way to go, Charlotte! Sounds like it was a great time. Cheers Dylan, I had a great time; a weekend stay in a lovely hotel overlooking the fast flowing River Ribble; the pure adrenaline rush of a competition; good friends joining in the fun and a fabulous cooked breakfast each morning. Thank you Maria, I’ve not stopped since I got back to Glasgow, I got off the train and went straight into lessons 🙂 then a rehearsal for the Opera surtitles. Reblogged this on Wildheart Book/Music Blog. Thank you very much for the reblog, I appreciate it. Lovely to read your post, Charlotte, you looked fantastic, and congratulations for taking part and for accepting the result with such grace. Congratulations on the audience award! Thank you 🙂 I was very happy and excitedly turned to the audience and said thank you and nearly forgot to shake the lovely ladies hand presenting me with the award. 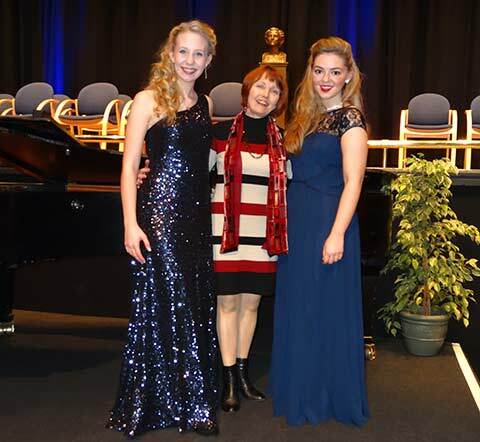 Hello Patricia, it was a great opportunity, I met up with Joy Naylor my singing coach from the Junior Royal Northern College of Music Saturday school and Merial pictured above. 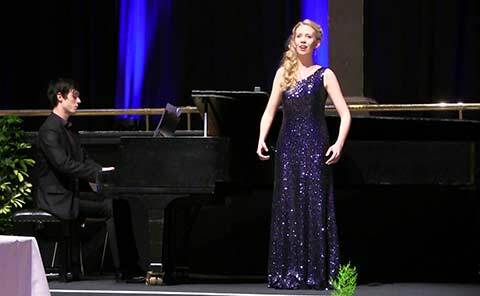 It was great to see the other singers from all around the UK and listen to their favoured repertoire. Thank you. Thank you 🙂 I appreciate you stopping by. The audience award is the best one, if you ask me. After all, that’s who we are performing for! Congratulations!! Congratulations. It seems to me the goal is to pleased the audience. Did I miss a meeting? Thank you – That is very true. 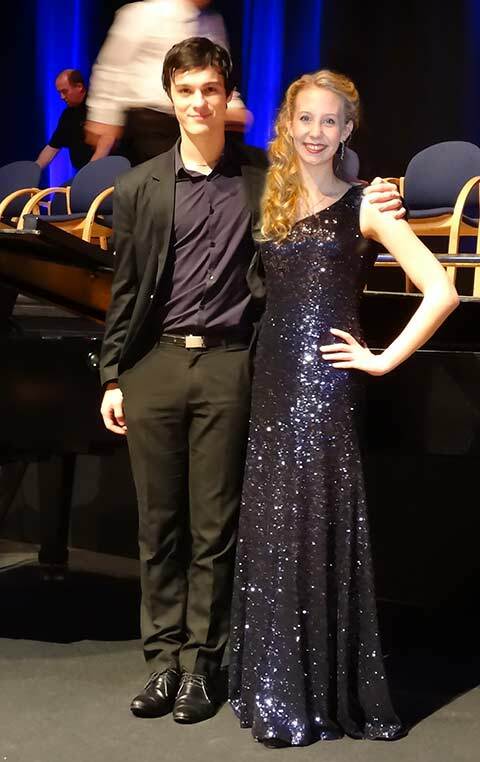 The winner won a annual bursary that will enable him to do some wonderful things like go to International competitions, last year that would have covered nearly a whole years tuition fees so it is a very special competition as we are all on at least four year courses. Congrats. There is quite nothing like having your work recognized and appreciated. Perhaps you could upload a piece you’ve done. Hi Krishnan, have you seen the videos in the performance videos section, or there are tracks in the right column below Recent Comments. I’m hoping to record a couple of these tracks soon ;). I really enjoyed learning the new German pieces. Congratulations. Competition always sharpens the instrument. It was fantastic and George has become a new friend but when I’m singing melliflously I don’t want him drawing the eye lol ;). Only joking George – I’m trying to use my new word yakinamac taught me, he he. Very good! I was very pleased with myself yesterday when I was editing my book and managed to sneak in “thrice”.